Nearly every home that you see today has at least one or two trees on their property. If you are one of the lucky ones, you may have several trees located on your property to provide you with cool shade, comfort, and beauty in your yard. You love the beauty of the trees and what they add to your home, but if you want to keep them looking great, then you need to make sure you do all that you can to keep them healthy and growing. It is not always easy for the average person to pick up on signs that your trees may need some care, so here are a couple of things that you may want to look for that indicate you may need a tree service in Calabasas like ours at Your Way Tree Service Inc. The branches of your tree can be good indicators if something is going on with your trees. Take a good look at the different branches that you can see so you can determine if the branches look overgrown or too long. If you have branches that are hanging very low so that they are difficult to walk under, it is time that the branches get trimmed to help maintain the health of the tree. You may also notice broken or dead branches on the tree. These branches should be removed properly to keep the tree healthy and keep it safe. While you may not always take particular notice of your tree, if you take a good look at it and feel something is wrong with the way it looks, it may be time to call us for tree service in Calabasas. Perhaps it looks as though your tree is leaning to one side or the other. This can place it dangerously close to your house, power lines, and property. It may be that the tree has suffered damage from a storm or has an insect or pest problem disrupting the health of the tree. Getting it looked at by a professional service like ours can help to shape the tree properly and bring it back to proper health. If you think that there may be any problem with your trees, it can be a good time to call us for tree service in Calabasas. 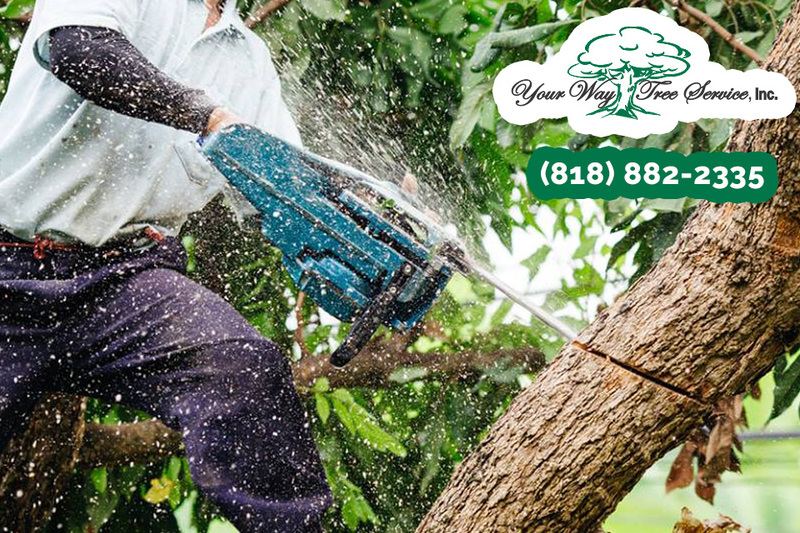 You can reach us at Your Way Tree Service Inc. by calling our office at 818-882-2335 and arranging an appointment with one of our experts to come to your property. We will be happy to answer any questions you may have, and our professional service can provide you with the best advice and methods to help keep your trees at their best.